Bland County high school in Rocky Gap will be the site for Titans of the Cage #26 on Saturday, December 1st. Doors will open at 5:00 P.M. and fights start promptly at 6:00 P.M. Many of the region’s best amateur MMA fighters will be in action on this card. 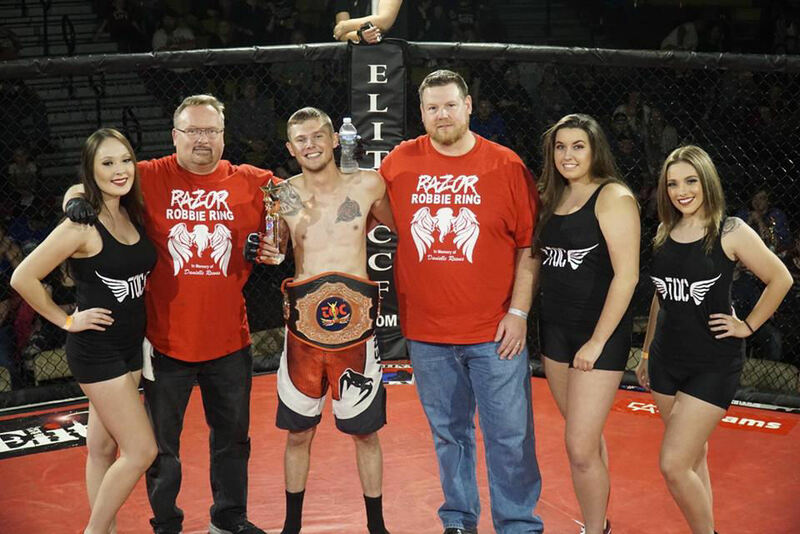 In the main event, it will be Wytheville up and coming fighter, “Razor” Robbie Ring making his bid to take the bantamweight title from the clutches of current TOC champion, A.J. Sanchez of Chicago, IL. Ring who represents Ring-Combat Sports in Wytheville comes off of an impressive win over Josh Cook of Halifax, VA, while Sanchez comes in riding high after retaining his title against Ring’s teammate, Ray Ray Holston. Ring hopes to take the next step in his promising young career, but standing in his way is a very formidable opponent in Sanchez. The Co-Main event will be Nick Beal of Asheboro School of martial arts challenging current TOC lightweight champion, Sean Mitchell of South Hill. In a bout being billed as a “super fight” it will be Ray Ray Holston of Ring-Combat Sports in Wytheville facing Eric Rodriguez of Team Phoenix out of Greensboro, NC. Both of these fighters are on the verge of moving up to the professional ranks. In a special “expo” grappling match, two decorated U.S. Military veterans will face off. Derik Rogers Joined the United States Army on January 31, 2007. Part of Big Red One 1st Combat Battalion 1-77FA, Falcon First, Derik was injured in August during a training exercise and has been fighting to save his foot ever since. Garrett Carnes joined the U.S. Marines in 2009 as an infantryman. In February of 2012 while conducting a helicopter raid he stepped on an improvised explosive device resulting in the immediate loss of both of his legs. After nearly 40 surgeries and 16 months of rehabilitation he left Walter Reed National Military Medical Center walking on prosthetic legs. He has always challenged himself to not let his amputation’s limit him or identify him. Derik and Garrett will do battle in the TOC cage in a special grappling match to serve as an example that anything is possible if you are determined. This event is full of great match-ups. Clay Anders (Wytheville) vs. Josh Cook (Halifax), Adam Zolot (Greensboro, NC) vs. Nick Farley (Cool Ridge, WV), Tyler Carrico (Wytheville) vs. Raymond Greene (Bland), Jaylee Long (Independence) vs. Isaiah Thompson (Galax), Derick Bias (Wytheville) vs. William Hale (Roanoke), Danny Edwards (Wytheville) vs Adrian Guijoza (Martinsville), Jacob Catron (Wytheville) vs. Jeff Wright (Hillsville) and Josh Lilley (Myrtle Beach, SC) vs. Jacob Coller (Greensboro, NC). Still other great bouts that will be featured are; Joey DeSanto (Indiana) vs. Jeremy O’Quinten Cooper (Greensboro, NC), Joshua Rush (Roanoke) vs. Nicholas Fisher (Roanoke), Zack Humbertson (Fairmont, WV) vs. Jacob Lamb (Greensboro, NC) and Zack Bobbit (South Hill) vs. Jeff Copeland (Martinsville). Several youth expo grappling matches will be featured, including sisters Ada and Jillian Lambert testing their skills against each other. Both Ada and Jillian are part of the Tiny Titans program at Ring-Combat Sports in Wytheville. They are the daughters of Jody and Olena Lambert of Bland. Ring girls for the event will be Tiffany Barr of Abingdon, Maranda Allen of Wytheville and Katie Crump of West, Virginia. The early weigh-in event will be held on Friday, November 30th at Italian Garden in Wytheville and is free and open to the public starting at 6 P.M. Fans are urged to come out and meet all the fighters and ring girls and have your picture made with them. The event is sponsored by and will benefit the Bland county girl’s softball program. Everyone is urged to come out to Bland County H.S. in Rocky Gap and support local MMA and student athletes. Tickets can be purchased in advance at www.titansofthecage.com Tickets can also be purchased at the early weigh-in event or at the door at Bland high school. Titans of the Cage #25 MMA Returns to Pulaski Co. H.S. Live MMA action returns to Pulaski County H.S. in Dublin on Saturday, October 13th. Doors will open at 5:00 P.M. and the fight card begins promptly at 6:00 P.M. The fights are being sanctioned by the state of VA and overseen by the United Combat Arts sanctioning body and DPOR of Richmond, VA.
Wytheville fighter “Razor” Robbie Ring makes his long awaited official MMA debut when he faces veteran fighter Josh Cook from Halifax fight team. 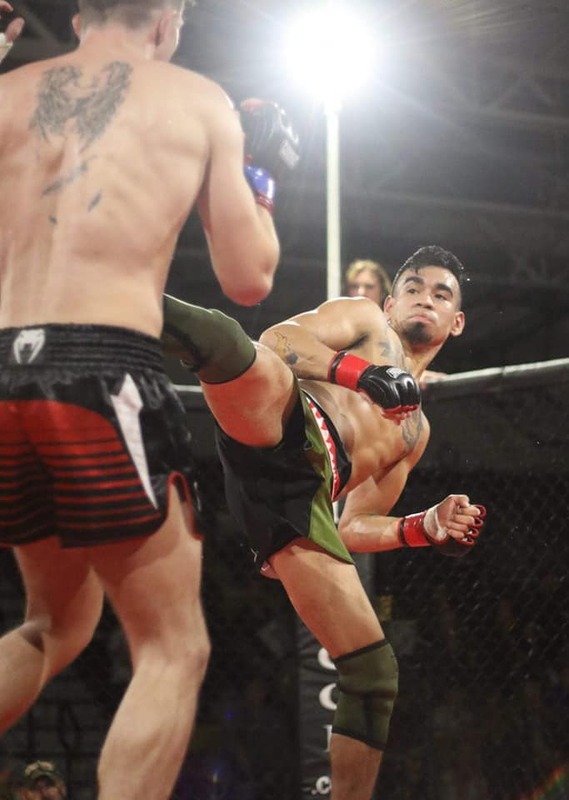 Robbie has been involved in martial arts training since he was 3 years old and has compiled a record of 7-0 in MMA expo bouts over the past 3 years. Training out of Ring-Combat Sports in Wytheville, Ring juggles going to college at WCC, along with a part time job and still trains six days per week in pursuit of his goal of fighting professionally. One of the headliners for the event will be C.J. Burleson of Pulaski who will face Chris Hamlett of Blacksburg for the TOC cruiserweight championship belt. 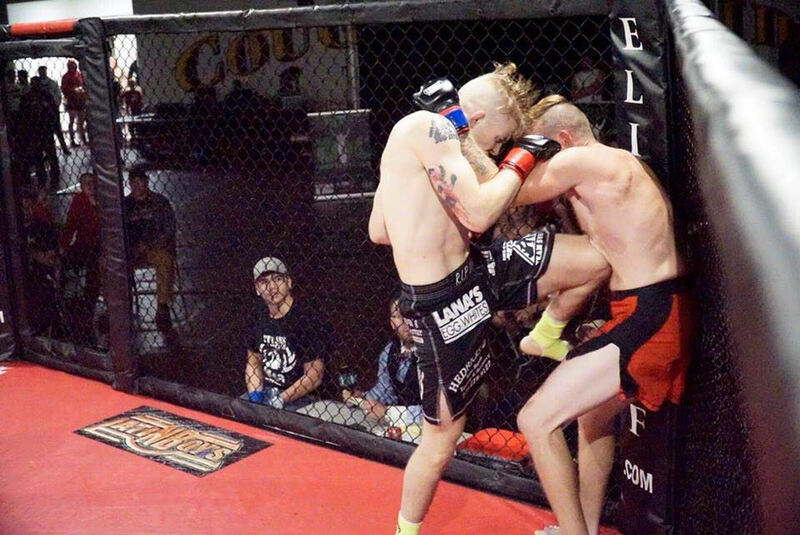 Burleson trains out of Ring-Combat Sports in Wytheville and was a standout football player for the Pulaski Co. Cougars and will fight in the Co-Main event of the evening. The Main Event of the evening will be Zion Tomlinson of Roanoke facing current middle weight champ, Christian Bradberry of Knoxville, TN (formerly of Wytheville) for the TOC middleweight title. In other title bouts, the current TOC bantamweight champ, A.J. Sanchez out of Chicago, IL puts the belt on the line against veteran fighter Ray Ray Holston of Ring-Combat sports in Wytheville. The vacant featherweight belt will be on the line when Mike Sant, of Absolute Jiu-Jitsu in Bristol, TN does battle with Adam Zolot of Team Phoenix out of Greensboro, NC. In yet another title bout, it will be popular local fighter and veteran of nearly 20 fights inside the cage, Micah Sheffey facing Austin Cox of Elite Grappling in Lebanon for the vacant welterweight title. Sheffey who trains out of Ring-Combat Sports in Wytheville is the former TOC lightweight champ and Caged Kombat Champion, but moves up a weight class for this opportunity. Finally, Billy Byrd of Coeburn will challenge current flyweight champ, Logan Hurley of Ring-Combat Sports for the belt. The ladies will take front and center in this one, with Kristy Stafford of Big Stone Gap and Stevana Shouvley of Roanoke square off inside the cage. This card is loaded with great bouts from top to bottom. Local fighter, Danny Edwards tries to remain undefeated as he takes on Will Wilson of Roanoke, Dylan Smith of Lebanon faces Sean Mitchell of South Hill in a lightweight top contender bout, Tyler Gilger of Beckley, WV faces Jacob Coller of Greensboro, NC, while Michael Warner of Princeton, WV and Antwon Curtis of Roanoke slug it out in a kickboxing showdown. Still others line this explosive fight card as Ron Vance of Absolute Jiu-Jitsu in Bristol, TN faces Will Holtzclaw out of the UFC gym in Norfolk, VA, Jeremiah Wills (Greensboro, NC) faces Danny Stubbs (Beckley, WV), Tango Rogers (Princeton, WV) battles Josh Cloud (Hillsville), Matthew Hairston (Greensboro) faces Derick Wisser (Hamburg, PA) and Tanner Perry (Bristol, TN) takes on Jasper Scott (Halifax). The popular youth grappling expo bouts will also be featured when local martial arts students from Ring-Combat sports in Wytheville showcase their Jiu-Jitsu skills inside the cage. Grace Crowder (12) vs. Emily Foore (12), Emily Porter (5) vs. Riley Grubb (5), Sierra Llewellyn (9) vs. Hunter Pennington (9) and Eli Holston (5) vs. Joey Larkin (5). The event is sponsored by and will benefit the Pulaski County Special Olympics. Ring girl for the event will be Tiffany Barr of Abingdon. Advanced tickets are available online at www.titansofthecage.com. Tickets can also be purchased from select fighters or at the early weigh-ins event which will be held on Friday, October 12th at Italian Garden Restaurant in Wytheville from 5:00 to 8:00 P.M. Tickets will also be available at the door of the event beginning at 5:00 P.M. on Saturday, October 13th. Titans of the Cage promotions, is a family friendly event and we encourage the public to come out and bring the entire family for a great evening of entertainment. Don’t miss any of the action and be sure to search for us on facebook at Titans of the Cage to keep up with all the MMA action, past, present and future. If you missed the Titans of the Cage #24 event this past Saturday evening in Independence, you missed what was probably the most exciting fight card, from top to bottom in the history of the event. Every fight was evenly matched and highly competitive. This event had a little bit of everything, from knockouts, several submissions and fights that were determined by close decisions. In the main event of the evening, it was champion K.C. Cockran, of Roanoke retaining his lightweight belt by stopping a game challenger, Micah Sheffey of Ring-Combat Sports in Wytheville, by arm bar late in round four. Entering the 4th round, Sheffey was up on the judges’ score cards having won the first two rounds. Cockran grappled his way to the mounted position midway into the fourth round where he finished the fight with an arm bar submission. In a fight being billed as a “Super fight”, Ray Ray Holston of Ring-Combat sports stopped Eric Rodriguez of Team Phoenix out of Greensboro, NC with a beautiful heel hook submission, to earn his 11th win inside the cage, along with another “submission of the night” award to add to his collection. In another thriller, it was current light heavyweight champ, Tyler Cardwell of Ring-Combat sports, stopping accomplished boxer and current black diamond beat down heavyweight champ, Josh Short of Charlottesville. Cardwell came out and was extremely dominant in rounds one and two. He ran into some adversity he had to overcome in round three when Short landed a stiff shot to his chin that rocked the champion. Cardwell was able to weather the storm and retain his title by arm bar submission late in the 3rd round. Other winners included; Will Holtzclaw (Norfolk) def. Stacy Dalton (Wytheville), Josh Cook (Halifax) def. Dee Venable (Martinsville), Danny Edwards (Wytheville) def. Devon Shewey (Fort Chiswell), Evan Lineberry (Hillsville) def. Will Wilson (Roanoke), Jared Gravely (Beckley, WV) def. Mathew Porter (Wytheville), Kyle Davis (Princeton, WV) def. James Dean (Max Meadows), Clay Anders (Wytheville) def. Josh Cloud (Martinsville), Tango Rogers (Princeton, WV) def. William Hale (Roanoke), Jeremiah Wills (Greensboro, NC) def. Justin Shatto (Dublin), Tony Booher (Bristol, TN) def. Sean Mitchell (South Hill) and Cody Prior (Covington) def. Jaylee Long (Wytheville). The night also featured three “expo” bouts. Ring-Combat Sports teammates, Zach Perkins and Tanner Sark went three exciting rounds in a teen kickboxing expo, with no winner declared. 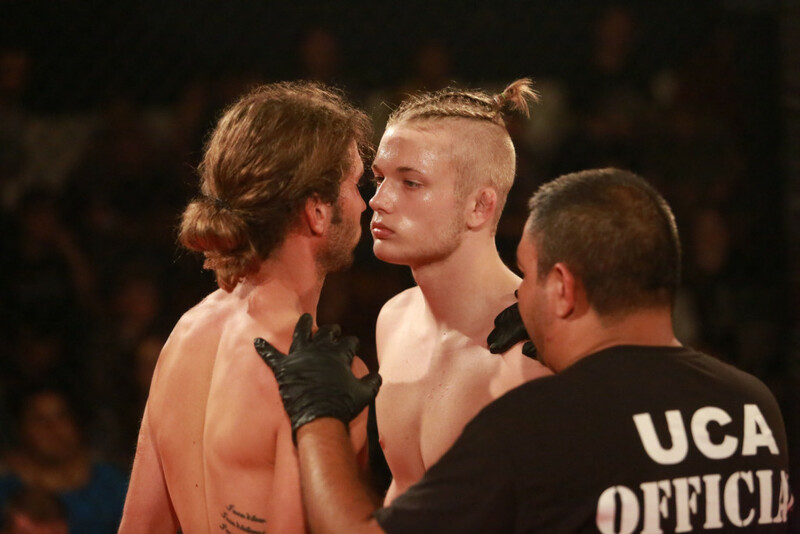 Seventeen year old, Alex Troxal of Pennington Gap, defeated seventeen year old Keith Pecora of Beckley, WV by rear naked choke, while Austin Cox of Lebanon and Kaine Tomlinson Jr. of Roanoke fought to a three round draw. Youth competitors included; Brie Hubbard, Emma Allen, Matyus Kennard, Kayden Walters, Desiree Simpkins, Gabrielle Waller and Makenzie Pennington, all members of the youth programs at Ring-Combat Sports in Wytheville, as well as Aaliyah Lacks of Norfolk. Ring girls for the event were Tiffany Barr of Abingdon and Katie Crump from Beckley, WV. Ring announcer for the evening was Pastor Jody Pyles of Radford. The event was sponsored by and helped to benefit the Grayson County H.S. athletic department. Titans of the cage events are sanctioned by the state of VA and overseen by United Combat Arts sanctioning body. The next Titans of the Cage event is tentatively scheduled for October. Stay informed about the event by following Titans of the Cage on facebook or visiting www.titansofthecage.com. Photo 2: Ring-Combat Sports fighter Ray Ray Holston (right) finishes his opponent Eric Rodriguez (left) with a heel hook submission. Grayson County high school, in Independence will be the site for Titans of the Cage #24 on Saturday, June 9th. Doors will open at 5:00 P.M. and undercard fights start promptly at 5:45 P.M. TOC Promotions will be showcasing a fight card that will feature 19 MMA fights inside the octagon, along with four (4) youth grappling bouts. The event will feature four (4) title bouts along with a much anticipated “super fight” bout. The main event of the evening will feature current TOC lightweight champ, K.C. 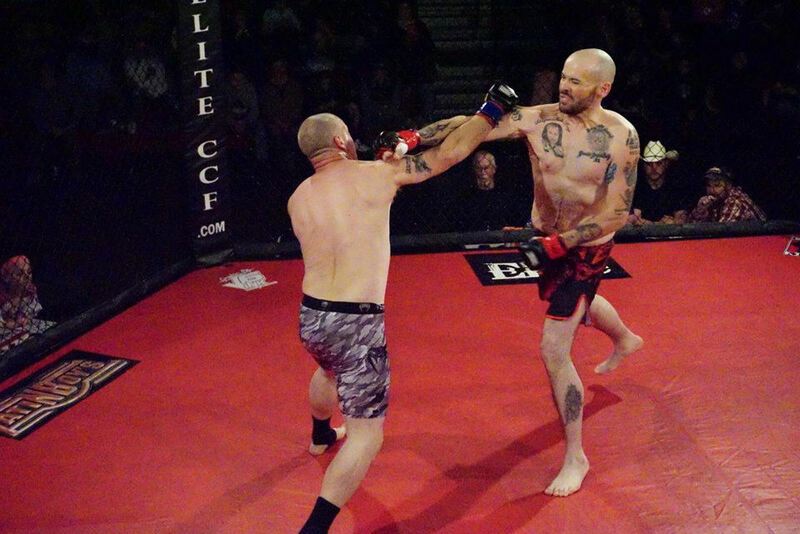 Cockran of Hybrid Martial arts in Roanoke, putting his title on the line against TOC veteran and former lightweight champ, Micah “the original” Sheffey of Ring-Combat Sports in Wytheville. This will be a rematch of an earlier bout which was won by Cockran in an exciting fight. Grayson County native, Jaylee Long, who also trains at Ring-Combat Sports in Wytheville, will take on Cody Prior of Covington in the Co-Main event of the evening. Other title belts will be on the line as current TOC featherweight champ; Jeromy Mitchell of Advantage martial arts in Princeton, WV will face Nick Beal of Asheboro martial arts in Asheboro, NC. The current TOC undefeated light heavyweight champ, Tyler Cardwell of Ring-Combat sports in Wytheville, puts his belt on the line against Josh Short of Staunton, while current flyweight champ, Logan Hurley of Ring-Combat sports in Wytheville will put his belt on the line against Jeff Carico of Roanoke. In a much anticipated “super fight” bout, it will be Ray Ray Holston of Ring-Combat sports in Wytheville facing Eric Rodriguez of Team Phoenix in Greensboro, NC. Rodriguez plans to turn pro after this fight, while Holston is looking to record his 10th win inside the cage. Many other local fighters will also be in action, including some of the best talent in the region. Some other local fighters include; Danny Edwards, Stacy Dalton, Clay Anders and Mathew Porter, all of Ring-Combat sports in Wytheville. In a teen expo bout it will be Zachary Perkins taking on his teammate Tanner Sark, both of Ring-Combat Sports in Wytheville. Tanner is the son of Greg and Tonya Sark of Fort Chiswell, while Zach is the son of Stacy and Michelle Perkins of Wytheville. Other notable fighters on this card are James Dean (Max Meadows), Kyle Davis (Princeton, WV), Kaine Tomlinison Jr. (Roanoke), Alex Troxal (Pennington Gap), Keith Percora (Beckley, WV), Tango Rogers (Princeton, WV), Josh Cook (Halifax), Dee Venable (Martinsville), Evan Lineberry (Hillsville), Tony Booher (Bristol, TN). Will Holtclaw (Norfolk), Jeremia Wills (Greensboro, NC), Justin Shatto (Dublin), Austin Cox (Lebanon), Will Wilson (Roanoke), William Hale (Roanoke), Josh Cloud (Galax), Jared Gravely (Charleston, WV) and Sean Mitchell (Lynchburg). There will also be four crowd pleasing youth expo bouts featuring seven local competitors along with a competitor from Norfolk, VA. The event is sponsored by Grayson County athletic department and will benefit the student athletes at Grayson County H.S. Ring card girls for the event are Tiffany Barr of Abingdon and Katie Crump of WV. The early weigh-in event will be held on Friday, June 8that the Italian Garden Restaurant on Monroe St. in Wytheville and is free and open to the public starting at 6 P.M. Fans are urged to come out and meet all the fighters and ring girls and have your picture made with them. Tickets can be purchased in advance at www.titansofthecage.com . Advanced tickets can also be purchased at the early weigh-in event or at the door at Grayson County H.S. 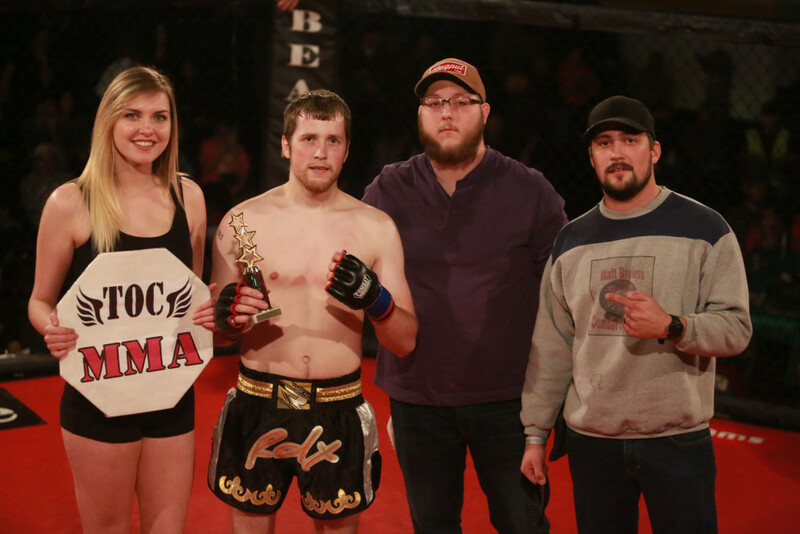 Photo 1: KC Cockran (center) of Roanoke will defend his lightweight belt against Micah Sheffey of Ring-Combat Sports in Wytheville. Local and regional MMA fans came out in record numbers at Pulaski County H.S. to support the sport of mixed martial arts, the fellowship of Christian athletes, as well as the several area fighters competing in the event. The event was sanctioned by United Combat Arts and the sport of MMA is regulated by and overseen by the DPOR of the State of VA.
Highlighted bouts on the night seen Pulaski County fighter, C.J. Burleson bring home the TOC cruiserweight championship belt by defeating C.W. Ferguson of Roanoke, VA by first round TKO. Also, A.J. 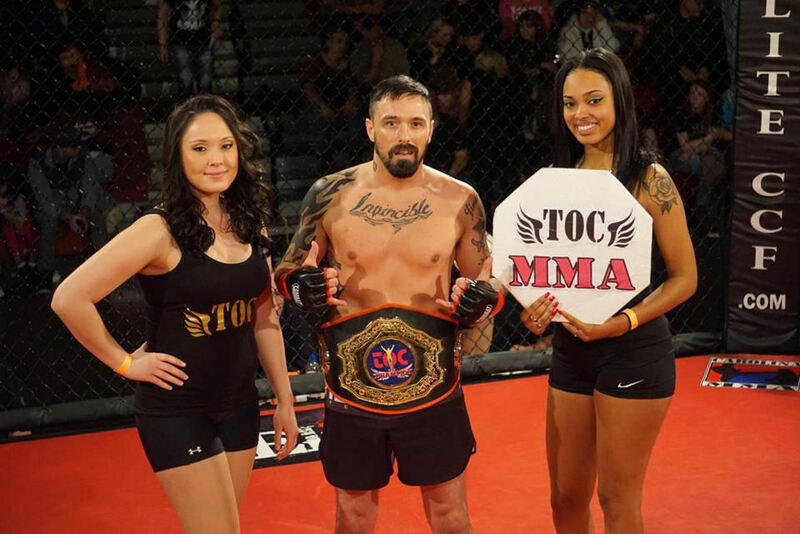 Sanchez of Team Enigma out of Chicago, IL pulled off the upset of the evening when he pulled off a guillotine choke to defeat Ray Ray Holston of Ring-Combat Sports in Wytheville to become the new TOC bantamweight champion. In the biggest and most anticipated fight of the evening, it was the current TOC featherweight champ, Jeromy Mitchell of Advantage Martial Arts in Princeton, WV taking on Doug Williams of Ring-Combat Sports in Wytheville in a bout deemed a super fight. Williams used takedowns and ground and pound techniques to defeat Mitchell in a bout that was contested at 150 lbs. Early in the second round, Williams scored another takedown and then secured a position known as the crucifix position and begin to open up on Mitchell with repeated strikes, until referee Marcelo Rodriguez stepped in to stop the fight, with Williams victorious by TKO referee stoppage. In other events of interest, K.C. Cockran of Hybrid martial arts in Roanoke defended his lightweight championship by defeating Dylan Smith of Elite grappling in Lebanon. 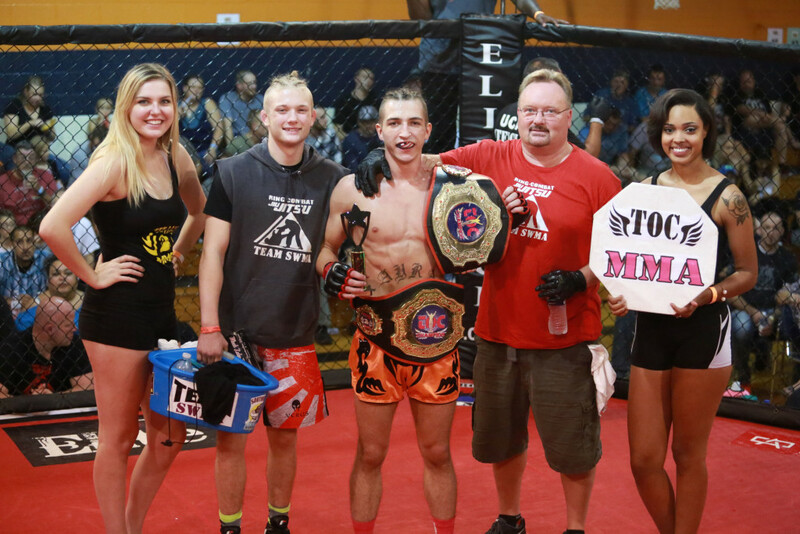 Brandon Williams of Greensboro, NC became the new TOC welterweight champion by defeating the reigning champ, Joey DeSanto of Indiana by rear naked choke in the fourth round. Jaylee Long of Ring-Combat Sports in Wytheville defeated Will Holtzclaw of the UFC gym in Norfolk by second round TKO to move Longs record to 2-0. In the main event of the evening it was Christian Bradberry of Knoxville, TN (formally of Wytheville), claiming the vacant TOC middleweight belt by defeating veteran fighter Antwon Curtis of Modern Gladiators in Roanoke, by first round TKO. Up and coming fighter Zion Tomlinson of Team Legion out of Roanoke stopped Micah Dando of Josh Cate MMA out of Knoxville, TN in the quickest fight of the night by TKO in only 18 seconds. 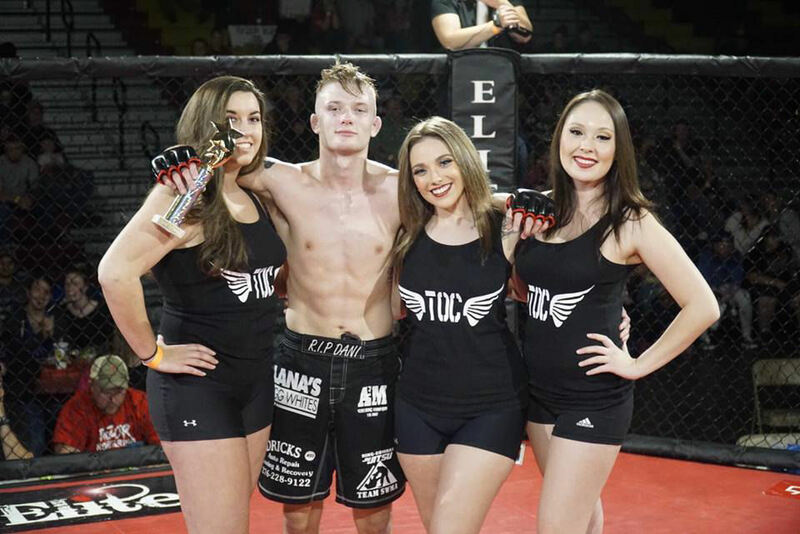 Tyler Carrico of Ring-Combat sports in Wytheville stopped Charlie Conner of Halifax fight team by TKO in the second round. Other results on the night included; Robert Niday (modern gladiators) defeated Stacy Dalton (Ring-combat sports) by TKO, Jacob Coller (Uprise MMA) defeated Dee Venable (Martinsville) by TKO, Jake Lineberry (backyard brawlers) defeated Clay Anders (Ring-Combat sports) by guillotine choke, Josh Cook (Halifax fight team) defeated Daniel Parsons (Big Stone Gap) by rear naked choke, Austin Cox (Elite Grapping) defeated Jody Pyles (Pyles combat) as fighter could not continue due to injury. Elijah Caviness (backyard brawlers) and Addison Hendry (uprise MMA) showcased their kickboxing skills in a teen kickboxing “expo” bout with no winner being declared. Also Chris Spencer (Ring-Combat Sports) took on Stacy Dalton II (Austinville) in an MMA “expo” with no winner being declared. There were also two crowd pleasing youth expo bouts featuring students of the Tiny Titans martial arts program at Ring-Combat sports in Wytheville. Four year olds Riley Grubb and Joey Larkin entertained the fans with their jiu-jitsu skills. Riley is the daughter of Danielle Reeves and Cody Grubb of Wytheville and Joey is the son of Joe and Ashley Larkin of Rocky Gap. Next it was seven year olds Brady Sark and Dalton Walters displaying their jiu-jitsu technique to the enjoyment of the large crowd. Brady is the son of Greg and Tonya Sark and Dalton is the son of Wayne and Denise Walters, all of Fort Chiswell. Ring girls for the event were Tiffany Barr of Abingdon and Keyona Miller of Roanoke. The National anthem was performed by sisters Ashley Larkin and Lindsay Gray of Rocky Gap. The event was sponsored by and benefited the Pulaski County fellowship of Christian athletes. 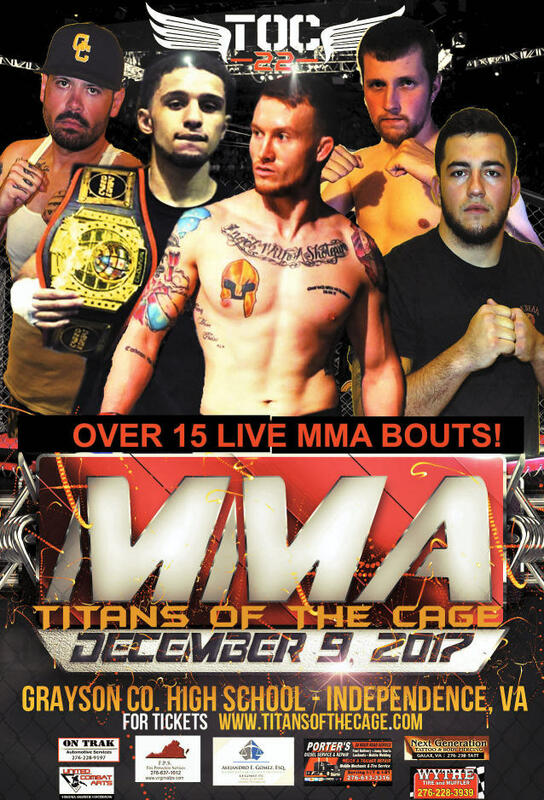 Titans of the Cage live MMA comes to Pulaski Co. H.S. Live MMA action is coming to Pulaski County H.S. in Dublin, VA Saturday, April 7th. Doors will open at 5:00 P.M. and the fight card begins promptly at 6:00 P.M. The fights are being sanctioned by the state of VA and overseen by the United Combat Arts sanctioning body and DPOR of Richmond, VA.
One of the headliners for the event will be C.J. Burleson of Pulaski who will face Demetrius Dye of Halifax for the TOC cruiserweight championship belt. 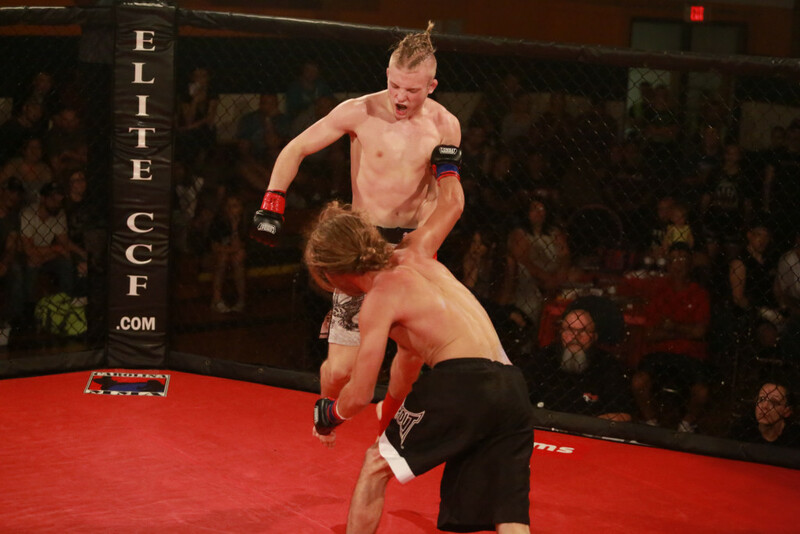 Burleson was a standout football player for the Pulaski Co. Cougars and will showcase his MMA fighting skills inside the octagon in the Co-Main event of the evening. Females will also be on the card as Tiffani Underwood, also of Pulaski will take on Anne Okes of Flat top, WV in a catch weight bout. Another local fighter, Jody Pyles of Radford will face Austin Cox of Lebanon in a middleweight bout. In the Main Event of the evening it will be Antwon Curtis of Roanoke going to battle with Christian Bradberry of Knoxville, TN (formerly of Wytheville) for the TOC middleweight title. In an interesting twist, teammates will face each other when undefeated (10-0) Austin Cooper takes on his teammate Micah Sheffey in a 160 lb. super fight bout. Both Sheffey and Cooper have reached the pinnacle in the region. 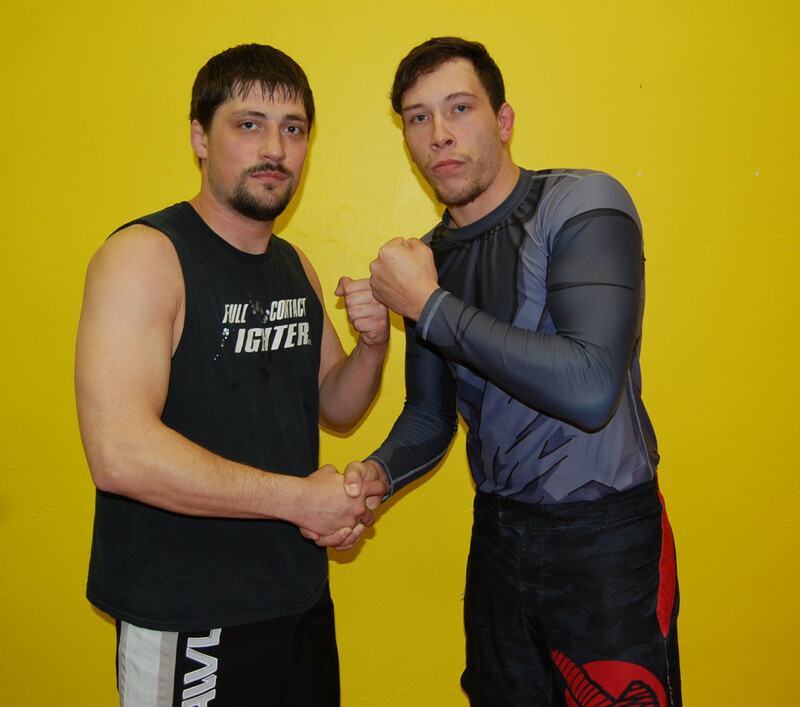 Both men train out of Ring-Combat Sports in Wytheville. Having been training partners for over 5 years now, both men are very familiar with each other’s style and Sheffey looks to hand Cooper his first loss, while Cooper hopes to remain undefeated. The current TOC bantamweight champ, Ray Ray Holston of Ring-Combat Sports in Wytheville will put his title on the line as he faces the talented up and coming fighter, A.J. Sanchez out of Chicago, IL. Also, TOC lightweight champ, K.C. Cockran out of Hybrid martial arts in Roanoke puts his belt on the line against Dylan Smith of Elite Grappling out of Lebanon in another exciting title fight. Jeromy Mitchell is the current bantamweight champion and represents Advantage Martial Arts in Princeton, WV and he will face Doug Williams of Ring-Combat Sports, of Wytheville in a much anticipated super fight bout. Closing out the title fights it will be TOC welterweight champion Joey DeSanto of Indiana putting his title on the line against Brandon Williams of Greensboro, NC. This fight card is stacked heavily with great match-ups from top to bottom. Other local and regional fighters who will be showcasing their talents on this card will be; Jaylee Long (Wytheville) vs. Will Holtzclaw (Norfolk), Clay Anders (Wytheville) vs. Jake Lineberry (Hillsville), Christopher Spencer (Wytheville) vs. Christopher Oliver (Pulaski), Stacy Dalton (Austinville) vs. Robert Niday (Roanoke), Josh Cook (Halifax) vs. Daniel Parsons (Big Stone Gap), Micah Dando (Knoxville, TN) vs. Zion Tomlinson (Roanoke), Dee Venable (Martinsville) vs. Jacob Coller (Greensboro, NC) and Tyler Carrico (Wytheville) vs. Charlie Conner (Halifax). The event will also feature a teen expo kickboxing bout between Elijah Caviness of Hillsville and Addison Hendry of Greensboro, NC. There will also be two of our crowd pleasing youth grappling bouts. In the first youth bout featuring 4 year olds, it will be Riley Grubb vs. Joey Larkin. Riley is the daughter of Danielle Reeves of Wytheville and Joey is the son of Joe and Ashley Larkin of Rocky Gap. In the next youth grappling bout it will be 7 year olds, when Brady Sark takes on Dalton Walters. Brady is the son of Greg and Tonya Sark, while Dalton is the son of Wayne and Denise Walters, all of Fort Chiswell. All four of the youth bout participants are members of the “tiny titans” martial arts program at Ring-Combat sports in Wytheville. The event is sponsored by and will benefit the Pulaski County high school fellowship of Christian athletes. Ring girls for the event will be Tiffany Barr of Abingdon and Keyona Miller of Roanoke. Advanced tickets are available online at www.titansofthecage.com. Tickets can also be purchased from select fighters or at the early weigh-ins event which will be held on Friday, April 6th at Italian Garden Restaurant in Wytheville from 5:00 to 8:00 P.M. Tickets will also be available at the door of the event beginning at 5:00 P.M. on Saturday, April 7th. Titans of the Cage promotions, is a family friendly event and we encourage the public to come out and bring the entire family for a great evening of entertainment. Don’t miss any of the action and be sure to search for us on facebook at TOC Fights to keep up with all the MMA action, past, present and future. Grayson County H.S. played host to Titans of the Cage #22 this past Saturday evening in Independence. With the bleachers full and all of the floor seating sold out, Airel Sturgil sang the national anthem and the state sanctioned event got underway right on time. The main event of the evening featured one of the top 145 lb. fighters in the region, Doug Williams of Team SWMA in Wytheville, taking on one of the best 155 lb. 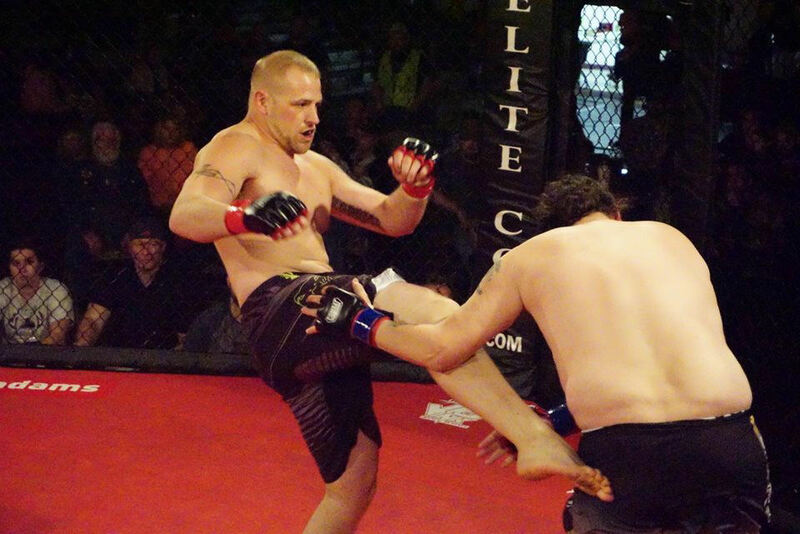 fighters in the region in Brandon Eldridge of Advantage MMA in Princeton, WV. 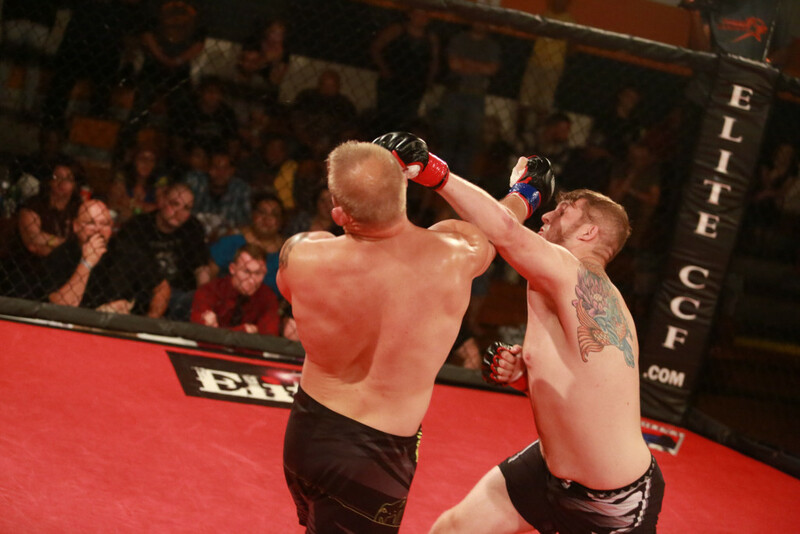 After five rounds of technical, back and forth fighting, it was Doug Williams earning the hard fought decision. 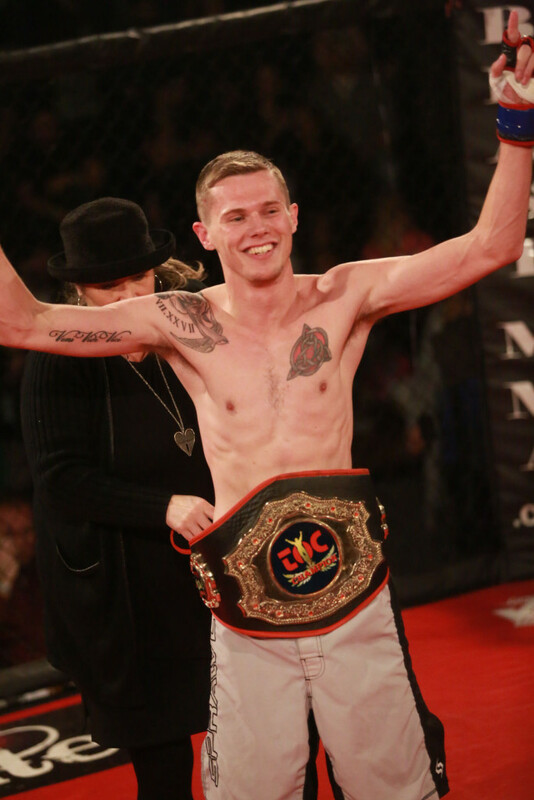 Logan Hurley representing Team SWMA of Wytheville became the new TOC flyweight champ when he stopped Halifax Fight team top contender, Brandon Perkins after one round, when Perkins was unable to answer the bell for round two. 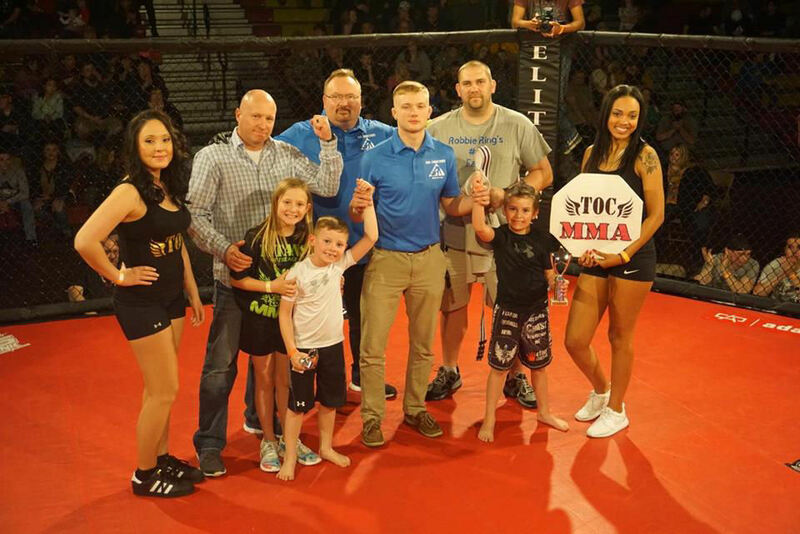 Grayson County native and fan favorite Jaylee Long made his MMA debut before his hometown crowd who came out big in support the Team SWMA member as he faced off with Wes Pennington of Rural Retreat. Long put together a combination of punches near the two minute mark of the first round scoring a knockout victory and bringing the crowd to their feet in appreciation. Jeff Morris of advantage martial arts in Princeton became the new middleweight champion defeating Kyle Johnson in the second round by rear naked choke. 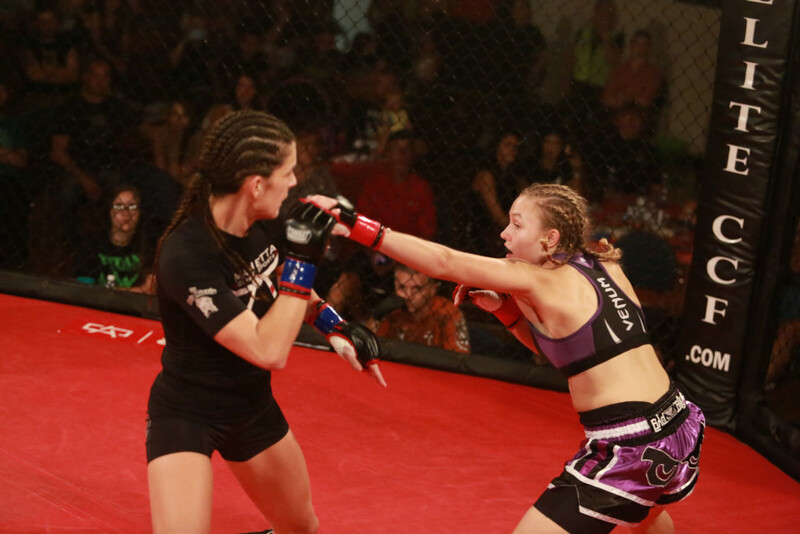 Kathy Hatfield, also of Advantage martial arts, defeated Joy Miller in the second round by standing guillotine choke to become the new women’s flyweight champ. Other notable area fighters competing included the following; Austin Cooper (Team SWMA) defeated Jeremy Caviness (Backyard Brawlers) by second round TKO, Ray Ray Holston (Team SWMA) defeated Daniel Parsons (YGMMA) by round one tap out due to strikes. Zion Tomlinson (Team Legion) defeated Clay Anders (Team SWMA) in second round by referee stoppage; Tyler Carrico (Team SWMA) defeated Damon Heath of Saltville by second round TKO. Other bouts included; Stacy Dalton of Austinville defeated Michael Warner of Princeton by round one verbal submission, Antwon Curtis (Modern gladiators) of Roanoke stopped Cody Prior of Covington with only three seconds left in the first round by rear naked choke. Jake Lineberry (backyard brawlers) defeated Ian Sword (Absolute Jiu-Jitsu) by second round Ezekiel choke, while Dylan Smith (Elite grappling) of Lebanon, scored the KO of the night with a 19 second KO of Daniel Boyd (Team Phoenix) of Greensboro, NC. The event also included some grappling expo bouts. Kayden Walters, daughter of Wayne and Denise Walters of Ivanhoe took on Jeremia Caviness, son of Jeremy and Misty Caviness of Hillsville in a crowd pleasing expo grappling bout. Both Kayden and Jeremia are youth students at Ring-Combat Sports in Wytheville. Also, Riley Grubb (4 years old) and Leah Cooper (5 years old) are both members of the “tiny titans” program at Ring-Combat Sports in Wytheville and they won over the crowd as they showcased their grappling skills in an expo grappling match during intermission. Also in adult grappling expos Brandon Williams (Team Phoenix) and Jeromy Mitchell (Advnatage MA) grappled to a draw, Jacob Coller (Uprise MMA) defeated Jake Barnett (YGMMA) by choke and Josh Cook (Halifax fight team) and Joseph Semones (Grayson County sandman Jiu-Jitsu) also grappled to a draw. Maggie Borchrevink of Independence served as ring girl for the event while Rick Caruso of Princeton, WV handled the ring announcer duties. The next event is slated for Saturday, April 7th at Pulaski County high school, where titles will once again be on the line and a whole host of area fighters will be competing once again. The event on Saturday night benefitted the Grayson County athletic department. Visit www.titansofthecage.com or search for Titans of the Cage on facebook to keep up with all the latest news and to learn more about the event. TITANS OF THE CAGE MMA HEADS TO GRAYSON COUNTY H.S. Grayson County high school in Independence will be the site for Titans of the Cage #22 on Saturday, December 9th. Doors will open at 5:00 P.M. and fights start promptly at 6:00 P.M. This card will feature all of the top amateur MMA fighters in the region. This event will feature three (3) title fights with championship belts on the line, as well as a huge “super fight” bout, which will be the main event of the evening. In the main event, it will be Doug Williams of Team SWMA of Wytheville, taking on Brandon Eldridge of Advantage Martial Arts in Princeton, WV. These are two of the premiere amateur fighters in the region. Williams will step up a weight class for the opportunity to fight Eldridge. Local Grayson County fighters will also be featured on this card with Grayson County native, Jaylee Long of Team SWMA making his MMA debut as he takes on Wes Pennington of Rural Retreat. Clay Anders from Grayson County will also be representing Team SWMA as he makes his MMA debut against Skyler Morris. Tyler Carrico, also of Grayson County returns to the cage representing Team SWMA as he takes on Damon Heath of Saltville. In a much anticipated championship bout it will be Joy “little miss violence” Miller of McCleansville, NC representing Team SWMA taking on “Machine Gun” Kathy Hatfield for the vacant women’s flyweigh title. Miller is the former flyweight champ and she faces an undefeated Hatfield to see who takes home the gold. Jeff Morris of Princeton, WV will challenge current TOC middleweight champ Kyle Johnson of Roanoke for the middleweight belt. Logan Hurley of Team SWMA of Wytheville, will take on Brandon Perkins of Halifax fight team for the vacant flyweight championship belt. Other notable fights will feature undefeated (9-0) Austin “the eternal dragon” Cooper of Team SWMA making his return to the cage to fight Jeremy “backwoods” Caviness of Hillsville. Ayron Davis of Wytheville will face Will Lilly of Wytheville. Current TOC bantamweight champ, Ray Ray Holston of Team SWMA takes on Casey Conway of Rural Retreat. In a matchup of top contenders in the lightweight division it will be Dylan Smith of Lebanon taking on Daniel Boyd of Greensboro, NC. Other fights will feature Stacy Dalton (Austinville) vs Michael Warner (Princeton, WV), Antwon Curtis (Roanoke) vs Cody Prior (Covington), Devon Shewey (Wytheville) vs Josh Cloud (Martinsville), Jacob Coller (Greensboro) vs Quintin Foye (Martinsville), Jake Justice (Beckley, WV) vs Brandon Williams (Greensboro, NC) along with several other featured bouts. The early weigh-in event will be held on Friday, December 8th at Ring-Combat Sports, 213 W. Main St. in Wytheville and is free and open to the public starting at 6 P.M. Fans are urged to come out and meet all the fighters and ring girls and have your picture made with them. The event is sponsored by and will benefit the Grayson county schools athletic department. Everyone is urged to come out to Grayson County H.S. in Independence and support local MMA and student athletes. Tickets can be purchased in advance at www.titansofthecage.com Tickets can also be purchased at the early weigh-in event or at the door at Grayson high school. Bland Elementary school was packed with standing room only this past Saturday night for Titans of the Cage #21. The event really delivered on a promise that this would be one of the best events the promotion had ever held. The excitement in the building was really high for the fight card that featured some of the very best amateur fighters the region has to offer. The main event of the evening featured the very popular C.J. 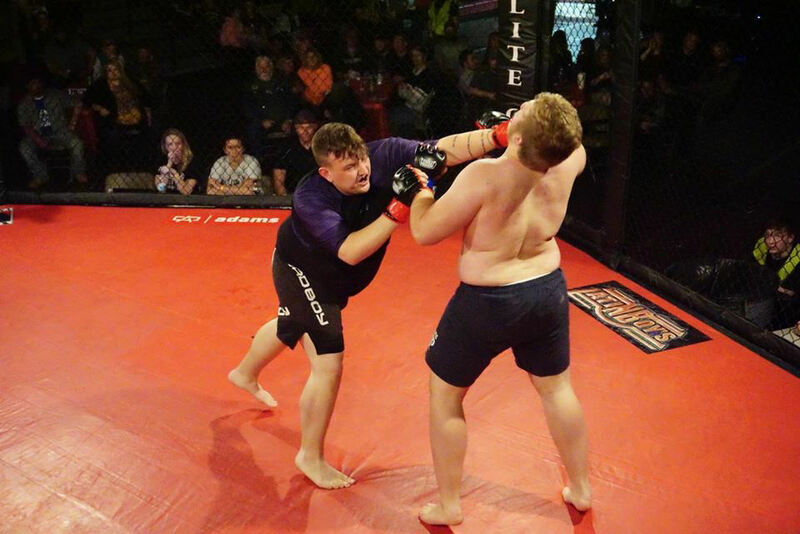 Burleson of Pulaski who represents Snake Pit MMA, challenging the current light heavyweight champion, Tyler Cardwell of Ring-Combat Sports in Wytheville. C.J. had a huge section of supporters and their cheers rang from the rafters as he was introduced. The two fighters spent nearly the whole first round with a back and forth feeling out process, until about 10 seconds were left in the first round, at which time Cardwell landed a straight left hand to the chin of Burleson sending him crashing to the mat with the first round KO and Cardwell retaining his title. Bland County native and Ring-Combat sports member, Ray Ray “Say it twice” Holston made history by becoming the first TOC champion to hold belts in two different weight divisions when he captured the bantamweight title with a TKO referee stoppage over Jake Barnett of Big Stone Gap. Jeromy “pretty boy” Mitchell of team advantage in Princeton, WV retained his featherweight title with a win by rear naked choke over Daniel “Cheeto” Parsons of Big Stone Gap. Current women’s flyweight champ, Megan Poe of Team Ironlock out of Pennington Gap stopped undefeated challenger, Tasha Hewitt of Marietta Combat sports out of Marietta, OH in the 3rd round by TKO. K.C. Cockran of Hybrid martial arts in Roanoke became the new TOC lightweight champion by defeating Micah “the original” Sheffey of Ring-Combat Sports by a rear naked choke with only 2 seconds remaining in the 2nd round. The winner of the “fan favorite” award went to “Razor” Robbie Ring of Ring-Combat sports in Wytheville. Robbie defeated veteran TOC fighter Casey Conway of Rural Retreat by knock out with a knee strike. The win took the seventeen year olds MMA record to 6-0, while he holds a 2-0 record in kickboxing, as well. Other notable bouts on the card featured an expo kickboxing bout that started the night off with Logan Hurley of Ring-Combat sports in Wytheville taking on Elijah Caviness of the backyard brawler team from Hillsville. The bout went the full 3 round and no winner is declared in an expo bout. 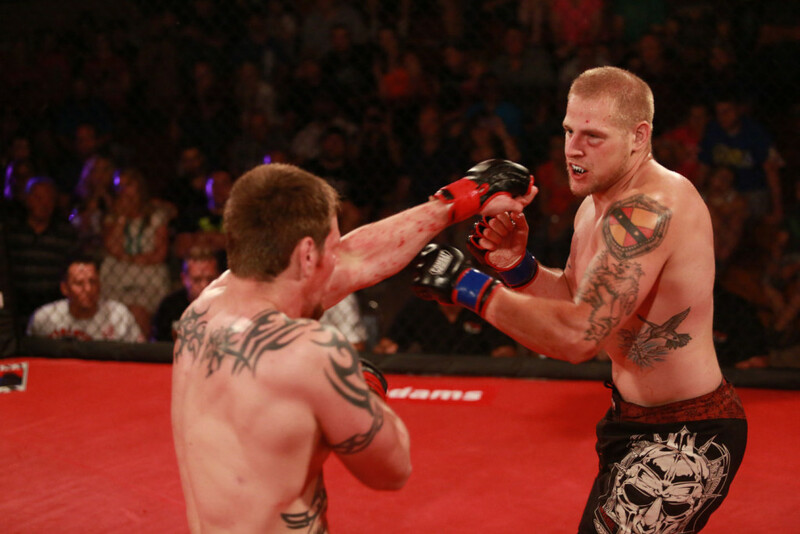 Tony Warnke defeated Devon Shewey after the fight had to be restarted after Warnke delivered an incidental illegal knee strike. 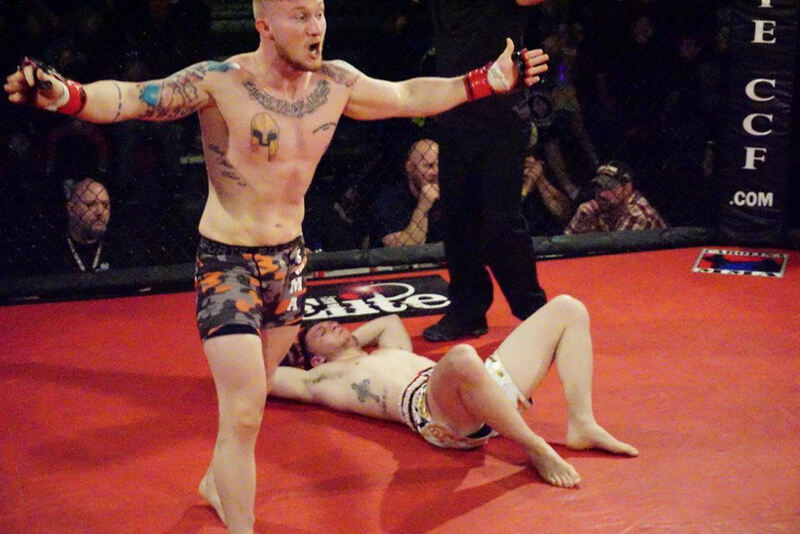 Chris Pontier of Charleston, WV defeated Will Lilly of Ring-Combat sports by arm bar submission. Lilly stepped up on a two week notice to face the much more experienced Pontier. Pontier is one of the top welterweights in the promotion and has eight fights under his belt, while this was only the second fight for Lilly. Jeremy Pullens of Charleston, WV defeated Josh Cloud of Martinsville by 2nd round TKO. Raymond Greene of Bland, defeated Tyler Carrico of Ring-Combat sports by kimura submission. The bout between Princeton WV fighter Michael Warner and Stacy Dalton of Ring-Combat sports was ruled a “no contest” due to an incidental foul by Warner and Dalton was unable to continue. 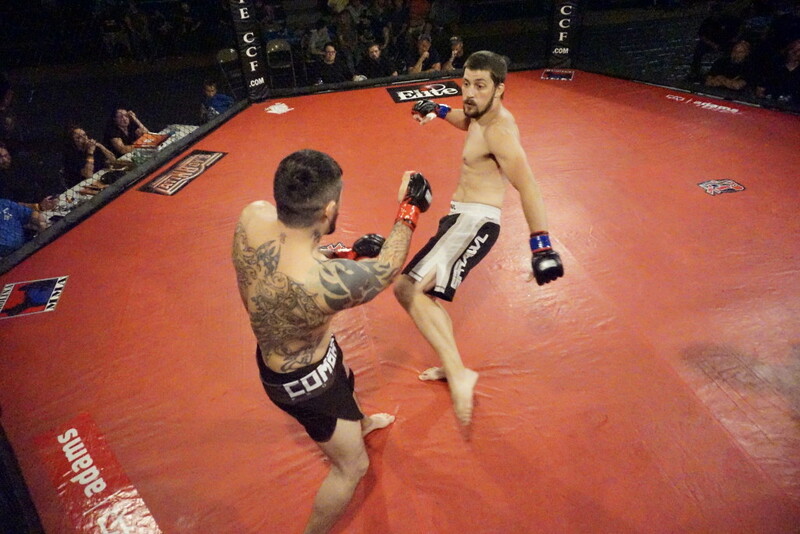 Brett Summers of Princeton, WV defeated Dustin Davis of Wytheville by TKO. Kenny Davis of Charleston, WV defeated Jacob Coller of Burlington, NC, while Josh Cook of Halifax fight team got the win over team advantage fighter Brandon “Tango” Rogers of Princeton by rear naked choke. The youth grappling expo bout was a crowd pleaser, featuring Brady Sark (son of Greg and Tonya Sark) of Fort Chiswell, who took on Emma Allen (daughter of Darrell and Deanna Allen) of Barren Springs. 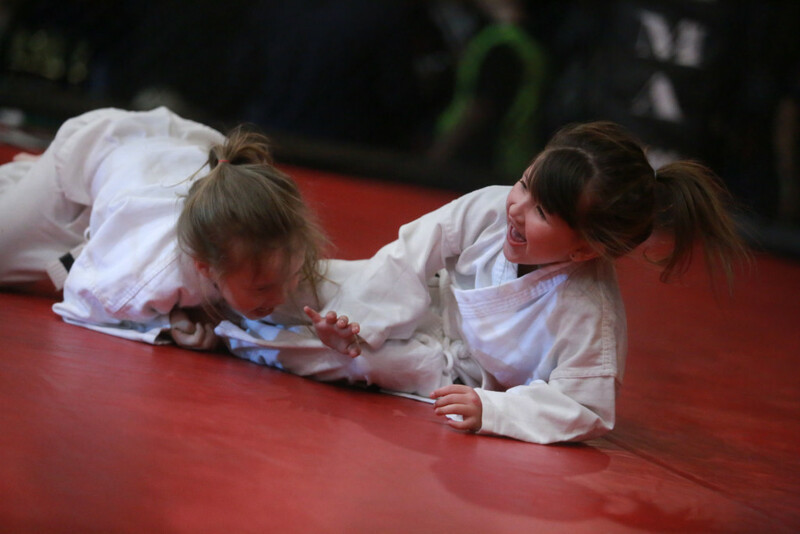 The six year olds who both train at Ring-Combat sports in Wytheville displayed their grappling skills to the delight of the capacity crowd and received a roaring ovation at the end of their match. The ring girls for the event were Maggie Borchrevink of Independence and Keyona Miller of Roanoke. Kaitlin Airel Sturgil of Big Stone Gap sang the national anthem and professional MMA fighter Rick Caruso of Princeton, WV was the ring announcer. The next event is slated for Saturday, December 9th at Bland Elementary school, where titles will once again be on the line and a whole host of area fighters will be competing once again. The event on Saturday night benefitted the Bland County athletic department. Visit www.titansofthecage.com or search for Titans of the Cage on facebook to keep up with all the latest news and to learn more about the event.